N.B. The following text in this blog-post St. Basil’s “Animal Prayers” are a “Hoax” Part Two is Copyright © 2012 Philip Johnson. In my previous post (Part One) I reproduced two prayers attributed to St. Basil the Great that are widely circulated in blogs and books. The majority of authors claim that at least one prayer, “Our Brothers the Animals”, comes from The Liturgy of St. Basil. I said that after checking St BasiI’s works that I could not find either prayer in any his writings, including the Greek and Coptic versions of The Liturgy of St. Basil. Now, in this second post, I will point to several authors who claim that St. Basil is the original source for the prayers “Their Guileless Lives” and “Our Brothers the Animals”. As I will show, too many contemporary authors quote from each other instead of taking a look at the original sources. This is a lengthy post and material will carry over into Part Three. 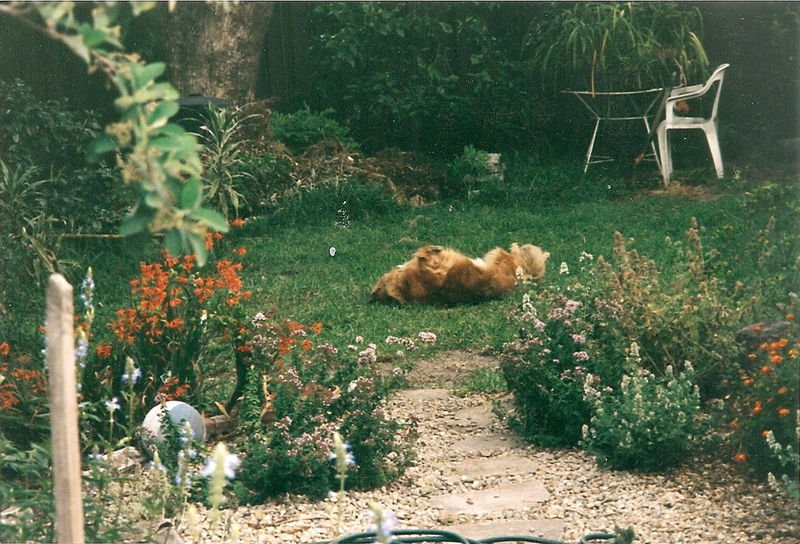 Arwen (1997-2010) and Nelson (1996-2010). Photo Copyright © 2012 Philip Johnson. Penelope enjoys a back-rub. Photo Copyright © 2012 Philip Johnson. In this post I will identify several authors but I am not picking on the authors and academics who are named. I am, however, intrigued and appalled that quite a few academics, both non-Christians and Christians alike, have unwittingly contributed to a literary hoax largely because of a lapse in basic research techniques. There is a very bad trending habit that occurs today in various academic works about animal ethics and theology. It is the lazy and dubious practice of obtaining original quotes second, third or even fourth-hand, rather than going directly to the primary sources. The citations of the two St. Basil prayers, as we will see below, is a very clear example of this very bad habit. 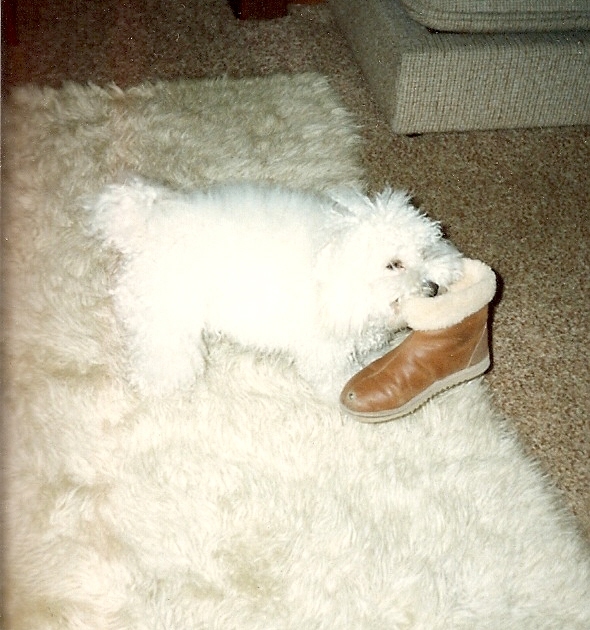 Danny (died 1995) up to mischief. Photo Copyright © 2012 Philip Johnson. 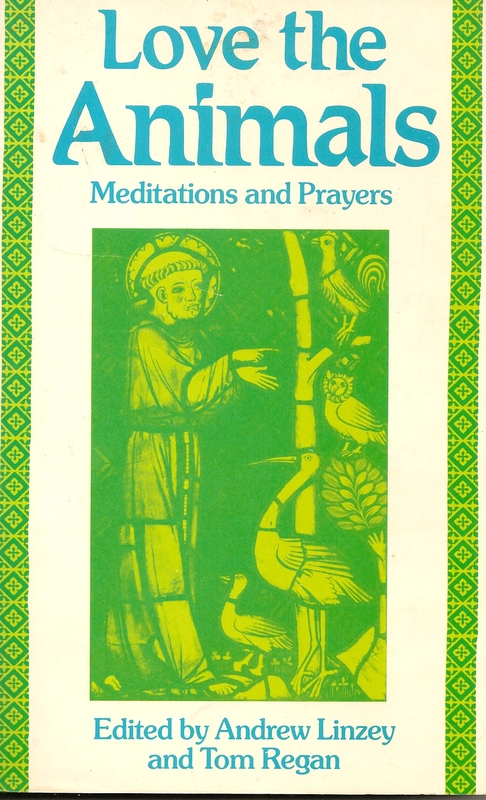 In the genre of books about animal ethics and theology there are some wonderful anthologies of prayers and of positive quotes. In Part One of this blog-post I reproduced the text of both prayers as they appear in Richard Newman’s handsome 1982 anthology of prayers Bless All Thy Creatures, Lord. 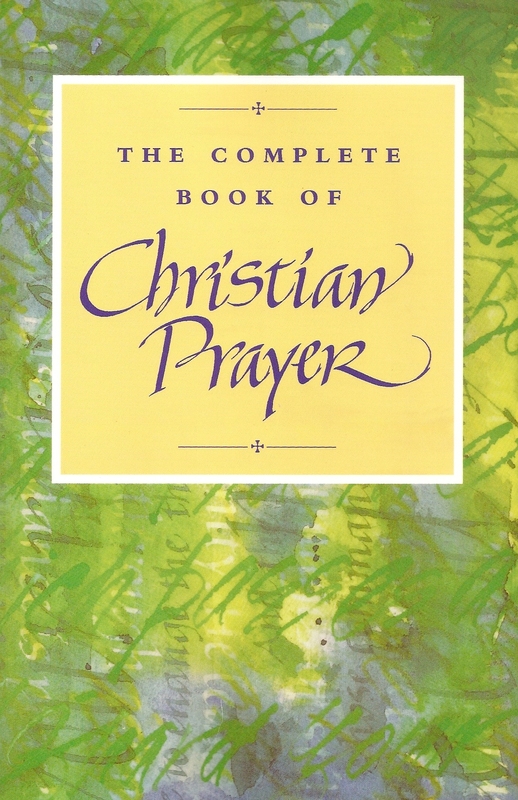 I will use Newman’s version as a basis for comparison with other books and blogs that reproduce the prayers. “Our Brothers the Animals” appears in The Complete Book of Christian Prayer (New York & London: Continuum, 2000), p. 145. However, unlike Newman’s version the prayer does not include the first sentence which is from Psalm 24:1, and the last fourteen words are also missing. It is unclear from the “acknowledgements” in The Complete Book of Christian Prayer (pp 487-490) where this version of the prayer was copied from. 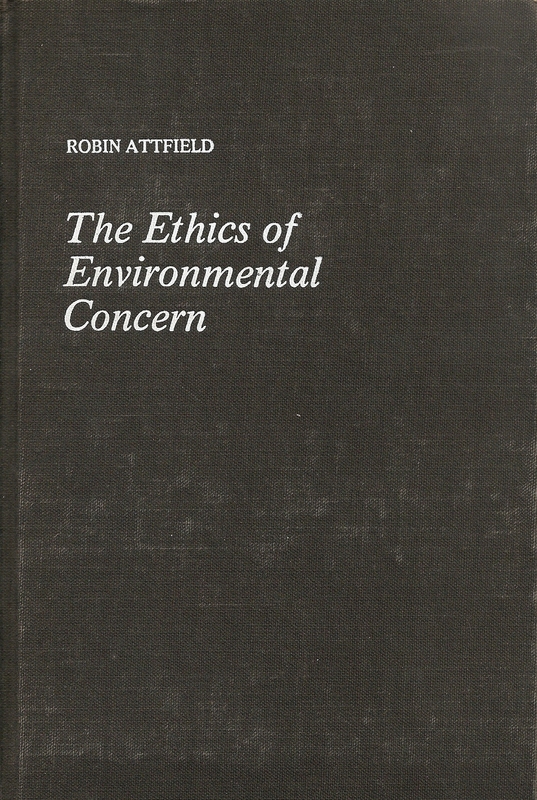 The English environmentalist Jon Wynne-Tyson prepared an anthology of quotes that is widely used as a source-book, The Extended Circle: A Commonplace Book of Animal Rights (New York: Paragon House, 1989). Wynne-Tyson reproduces “Our Brothers the Animals” (page 9). His version does include the same opening line as Newman’s but curiously cuts out the last fourteen words. Wynne-Tyson’s acknowledgments (pp. xxi-xxiv) gives no clear clue as to where he obtained the prayer. Rod Preece is Emeritus Professor of Political Science at Wilfred Laurier University in Ontario, Canada. I have read several of his books concerning animal ethics and found them to be refreshingly helpful. He has called into question the persistent and negative stereotype of Christian attitudes about animals that abounds in many secular-based animal rights books. 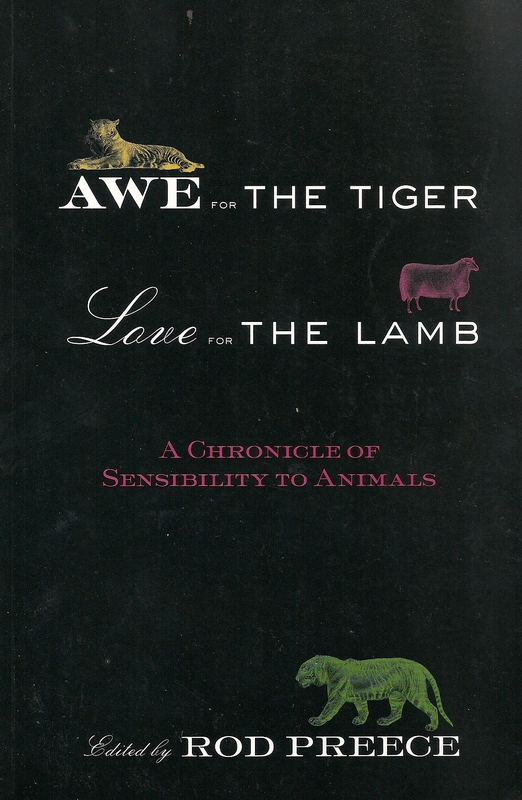 Preece has compiled a very useful anthology of human attitudes toward animals in Awe for the Tiger, Love for the Lamb: A Chronicle of Sensibility to Animals (New York & London: Routledge, 2002). This is perhaps the first explicit statement of the view that animals are ends in themselves. Basil’s animal appreciation is reflective of Eastern Christendom in general, as can be gleaned from the Book of Needs of the Russian Church. And for these also, O Lord, who bear with us the heat and burden of the day, we beg Thee to extend Thy great kindness of heart, for Thou hast promised to save both man and beast, and great is Thy loving kindness, O Master. For those, O Lord, the humble beasts, that bear with us the burden and heat of the day, and offer their guileless lives for the well-being of humankind; and for the wild creatures, whom Thou hast made wise, strong, and beautiful, we supplicate for them Thy great tenderness of heart, for Thou hast promised to save both man and beast, and great is Thy loving kindness, O Master, Saviour of the world. If Preece had simply shortened the quote by omitting words then one would expect him to signify this was so by using the ellipsis (i.e. …). He obviously has not shortened the quote. The discrepancies between Preece’s and Newman’s versions of the prayers cannot be accounted for by postulating that there are different English translations of St. Basil’s works. Instead, it strongly indicates that discrepant versions of the prayers are in circulation, and so the prayer’s authenticity comes under a cloud of doubt. 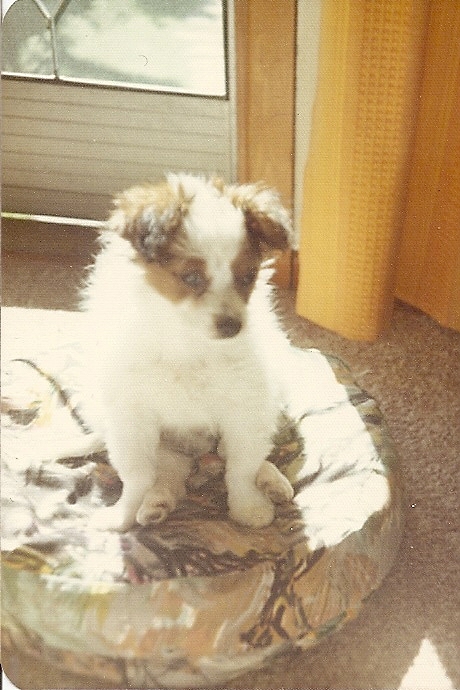 Scamp first day home. Photo Copyright © 2012 Philip Johnson. 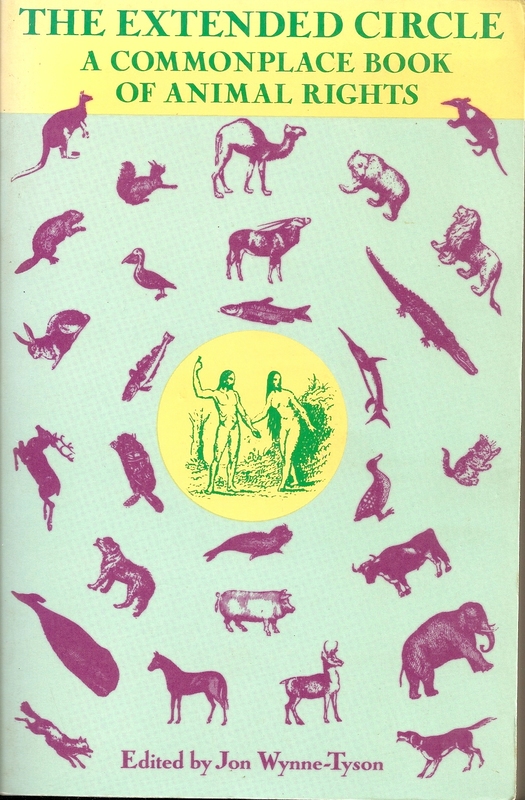 Similarly, Preece’s version of “Our Brothers the Animals” is missing the last fourteen words found in Newman’s version. As both Preece and Wynne-Tyson lack the final fourteen words of Newman’s version, the suspicion is that discrepant versions of this prayer are also in circulation. Unlike The Complete Book of Prayer and The Extended Circle, Preece does provide bibliographical references. 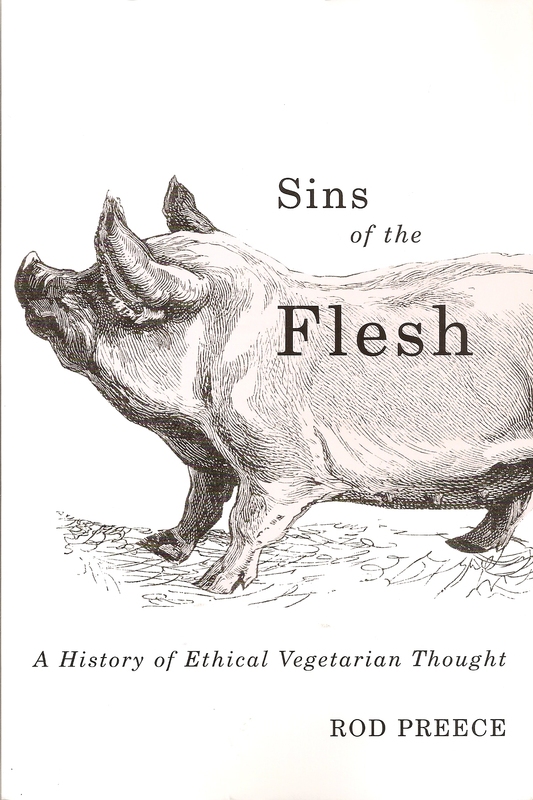 He has relied on Daniel Dombrowski The Philosophy of Vegetarianism (Amherst: University of Massachusetts Press, 1984) page 142, for his shorter version of “Their Guileless Lives”; while “Our Brothers the Animals” derives from C. W. Hume, The Status of Animals in the Christian Religion (London: Universities Federation for Animal Welfare Theological Bulletin, no. 2, 1962), page 3. Preece also alludes to “Our Brothers the Animals” in his essay, “Darwinism, Christianity and the Great Vivisection Debate,” Journal of the History of Ideas 64 (2003): 410. There he supplies a one-line quote and his source is C W Hume, Universities Federation for Animal Welfare Theological Bulletin 2 (1962): 3. 51. Saint Basil, quoted by C. W. Hume, in Universities Federation for Animal Welfare Theological Bulletin, no. 2 (1962): 3. 52. Saint Basil, via Saint John Chrysostom, “Homily 19: The Liturgy of St. Basil,” in Homilies of John Chrysostom on the Epistles of St. Paul to the Romans, quoted by Hume, in ibid, 3. First point to note is that there is no such thing as Homily number 19 in the Liturgy of St. Basil. Secondly, if the reference is supposed to be to Chrysostom’s 19th Homily then it can be noted that it is about Romans chapter 11 and no reference is made to St. Basil’s Liturgy by Chrysostom nor do any of the “prayers” appear in that Homily. A cross-check of Chrysostom’s 14th Homily, which covers Romans 8 (think of Romans 8:17-23 on creation groaning), likewise has no mention of St. Basil’s Liturgy nor any words resembling either of the two animal prayers. It is a bibliographical dead-end. As we will discover in Part Six of this blog-post, Hume is a crucial source for introducing this prayer in the early 1960s to a wide audience of readers. Although Preece commendably provides footnotes to document his sources, the fundamental weakness though is that his quotes for these two prayers derive from secondary sources and not from original texts. Assuming that there are real primary sources for the two prayers, then as readers of Preece’s book we have the material in this sequence: Preece quotes Hume who quotes another source; Preece quotes Dombrowski who quotes another source. At best we are reading the prayers third-hand or possibly fourth-hand. Andrew Linzey and Tom Regan include “Their Guileless Lives” in Love the Animals: Meditations and Prayers (New York: Lexington, 1989), p 86. In their acknowledgements it is clearly stated that this prayer is “attributed to St. Basil”, and their source is Richard Newman’s book. The rider “attributed to St. Basil” at least wisely signifies that it is not altogether clear if the prayer is genuinely from him. In this regard it must be noted that Newman has this same “rider” for both prayers in his anthology. Linzey also reproduces a verbally different version of “Their Guileless Lives” in his co-written book After Noah (see discussion on this in Part Four). In After Noah Linzey retains the same cautionary remark about the prayer’s attribution to St. Basil. A few distinguished non-Christian academics have also made reference to the St. Basil prayers. Not all of the Christian fathers were uncompromising. Basil of Caesarea insists that animals live not for us alone, but for themselves and for God. Basil of Caesarea speaks in one of his prayers of God having promised to save both man and beast. Sorabji’s footnote again simply reads:” Basil, Liturgy.” No further citation evidence is supplied by Sorabji. His remark on p 199 seems to allude to “Our Brothers the Animals”, and he obviously believes that it comes from the Liturgy. His remark on p 202 is interesting because the biblical promise (Psalm 36:6) “to save both man and beast” is found in the prayer “Their Guileless Lives”. Sorabji does not mention the biblical allusion. He indicates that the prayer (unnamed by him) comes from St. Basil’s Liturgy. Unfortunately for Sorabji, neither prayer exists in the Liturgy of St. Basil. The initial impression of seeing Sorabji’s footnote (p 199 and also on p 202) is that he has consulted a translation of the Liturgy. However, Sorabji’s bibliography does not list any specific text containing the Liturgy of St. Basil either in its original Greek, Slavonic or Coptic versions, and there is no published English translation listed. Most writers who refer to “Their Guileless Lives” never source this prayer to St. Basil’s Liturgy. Instead, most claim that “Our Brothers the Animals” comes from the Liturgy. There is the possibility that the two prayers have been confused by Sorabji as coming from the same source. 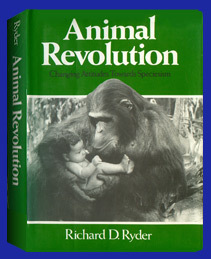 Richard Ryder is usually regarded alongside Peter Singer as being a co-initiator of the contemporary social protest movement for animal rights. Ryder coined the term speciesism to refer to the discriminatory and prejudicial attitude where humans preference themselves over and above the interests of animals. The Earth is the Lord’s and the fulness thereof. O God, enlarge within us the sense of fellowship with all living things, our brothers the animals to whom thou hast given the earth as their home in common with us. We remember with shame that in the past we have exercised the high dominion of man with ruthless cruelty, so that the voice of the earth, which should have gone up to Thee in song, has been a groan of travail. May we realise that they live, not for us alone, but for themselves and for Thee, and that they love the sweetness of life. Quoted by C. W. Hume, in Universities Federation for Animal Welfare Theological Bulletin, 2 (1962), p. 3. Like Preece, Ryder relies on C. W. Hume in selecting his quote. It is not from the primary source but comes to us third-hand. The other textual point is that Ryder’s quote is lacking the last fourteen words of the prayer as found in Newman’s version. Passmore then suggests that Basil was probably influenced at this point by the teaching about creation’s redemption in Romans 8:22. While the link to that biblical passage is an excellent suggestion, as I have already indicated the promise to “save both man and beast” actually comes from Psalm 36:6. Quoted A. W. Moss, Valiant Crusade (London, 1961), 5. Once again, there is no original reference text and we are reading this prayer third-hand. There again, Basil’s prayer for “the humble beasts who bear with us the heat and burden of the day” suggests that beasts of burden were not always treated oppressively. Attfield’s footnote for his abbreviated quote is Passmore’s essay mentioned above! Here we see the prayer has become at least fourth-hand for the reader: Attfield quotes Passmore who in turn quotes Moss who in turn (see below) uses an unnamed source! The same citation recurs in Robin Attfield, “Christianity” [pp 96-110] in Dale Jamieson ed. A Companion to Environmental Philosophy (Malden & Oxford: Blackwell, 2003), page 101. 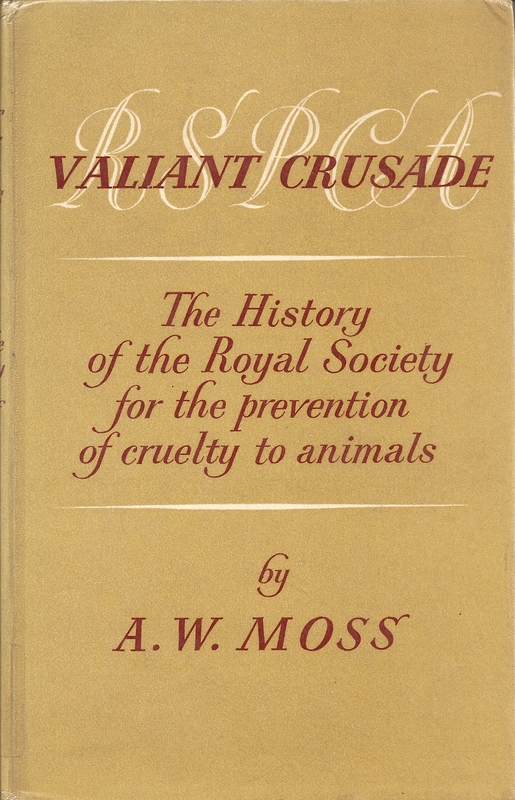 Attfield’s source again is Passmore’s 1975 essay “The Treatment of Animals”. And for these also, O Lord, the humble beasts, who with us bear the burden and heat of the day, we entreat Thy great kindness of heart, for Thou hast promised to save both man and beast, and great is thy loving-kindness, O Master. Bishop Virvos considers that St. Basil did not compose this prayer but that one of his disciples may have done so. It is not used in the Orthodox (Eastern) Church Liturgy but another one about animals is included. Notice that Moss introduces the prayer with the cautionary remark “it is sometimes said”. After quoting the prayer Moss as a non-theologian wisely inquired about the prayer’s authenticity. At best he was able to confirm that Bishop Virvos held reservations about the prayer coming from St. Basil, and was able to deny that “Our Guileless Lives” is used in the liturgy of the Orthodox churches. It is also worth noting the slight verbal difference in that Moss’ quote (which has no source given) uses the word “entreat”, while other published versions mentioned above use either “beg” or “supplicate”. Although these words are synonyms, the variation nevertheless hints at there being variant versions in circulation. The other key point is that Moss’ version of the prayer is shorter than that supplied by Newman. In light of Moss’ cautionary remarks, it is extremely curious that as Passmore used Moss’ book that he omits altogether the warning about the problem of the prayer’s authenticity. For more discussion see Part Three. This entry was posted in Animal Prayers, History, St Basil the Great, Theology and tagged Andrew Linzey, Animal Prayers, Animal Research Standards, Animals and Theology, Arthur W. Moss RSPCA, Arthur W. Moss Valiant Crusade, C W Hume Status of Animals in the Christian Religion, Daniel Dombrowski, John Passmore, John Passmore The Treatment of Animals, Jon Wynne-Tyson, Jon Wynne-Tyson The Extended Circle, Liturgy of St. Basil, Major C. W. Hume, Our Brothers the Animals, Prayer of St. Basil animal blessing, Richard Newman Bless All Thy Creatures, Richard Ryder, Richard Ryder Animal Revolution, Richard Sorabji, Richard Sorabji Animal Minds and Human Morals, Robin Attfield, Rod Preece, Rod Preece Awefor the Tiger Love for the Lamb, Rod Preece Darwinism Christianity and the Great Vivisection Debate, Rod Preece Sins of the Flesh, St. Basil Hoax, St. Basil the Great, St. Basil's Prayer for Animals, The Complete Book of Christian Prayer, Their Guileless Lives, Tom Regan by thecrossisnotenough. Bookmark the permalink. Thank you Charlie for your encouraging comments, and I will look forward to reading your book in the not too distant future. Part Six of the blog is now up which documents where the two prayers come from. One is Walter Rauschenbusch’s 1910 prayer “For This World”; the other derives from an Easter service held on the western front in 1915 by the Bishop of London.